The class-action lawsuit between the U.S. and Air New Zealand which claimed unlawful price fixing in their cargo operations, has been settled. The New Zealand national carrier has agreed to pay a sum of US$35 million although it still maintains that it is officially not liable to do so. The class-action which was filed in 2006 by several freight forwarders was directed at many airlines, one of them being Air New Zealand. It claims that the carriers conspired together on cargo fuel and security surcharges in the period 2000 - 2006. The settlement for ANZ to pay US$35 million is still subject to court approval and represents 2.8% of the $1.2 billion paid so far by a total of 28 airlines. 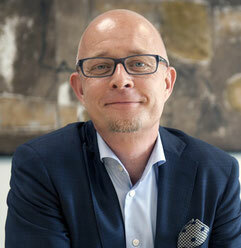 The Cargolux Board of Directors has appointed Lars Syberg as its new Global Logistics Vice President. Mr Syberg will take up his new position with the carrier on 6. June 2016. The position holds the responsibility for Ground Operations, Warehousing and Sales Activities. Due to the importance that Cargolux has placed on integrated “door-to-door” activities the position to be held by Lars Syberg is aligned within CV’s Executive Committee. Lar Syberg is 49 years of age and is a Danish national, married with two daughters. His last position was with Zebra A/S where he was responsible for the steering of the company’s worldwide delivery network. Mr Syberg carries more than 30 years of experience in the logistics industry and previously held leading management positions with Moelnlycke Health Care and DSV Transport A/S. Air Charter Services (ACS) who claim to be worldwide leaders in passenger and cargo charter flights had their best year ever in 2015. The company, which celebrated their 25th anniversary in 2015 reached revenues of US$480 million and the gross profit rose by 28 percent to US$60.2 million. The company states that the positive results were generated by most of the 20 offices which are scattered over 6 continents. The Russian results suffered somewhat however. ACS completed more than 10,000 charter contracts in 2015 with a revenue reaching almost half a billion dollars, says Chris Leach, Chairman of ACS. The company’s portfolio spreads from Air Freight Charter, Private Charters and Commercial Charters. The Cargo Charter department profited from the port strikes at U.S. harbours during 2015 and enabled ACS to increase their air cargo charters by 36 percent with a gross profit margin of 35 percent. The winter flight program of IAG Cargo will see the carrier increasing their cargo capacity to the Middle East by separating the current joint Abu Dhabi and Muscat service into two separate flights, as well as separating the joint Bahrain and Doha services. All four destinations will be served singly as of start of the winter flight plan and this according to IAG Cargo will give an additional 83 percent capacity for their clients in the region. Abu Dhabi will be served by the Boeing 787-9 series aircraft, which have a state-of-the-art air-conditioning system for better temperature control in the aircraft’s holds. Bahrain, Muscat and Doha will continue to be served with the venerable Boeing 777-200 aircraft. MCT operations will be five times weekly and AUH/BAH/DOH on a daily basis. Nick Platts, Head of Cargo at London’s Heathrow airport is adamant about the fact that the UK air cargo community must be more influential in directing the country’s aviation policy. In his speech, Nick Platts showed Amsterdam’s Schiphol Airport as being a prime example of a community that has worked together to transform itself into what he terms as an ‘international benchmark’ airport. 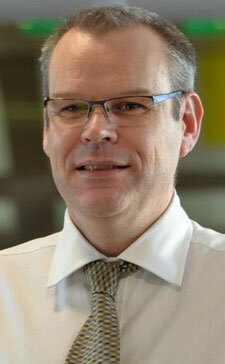 An Air Freight Working Group has however been set up by the UK’s FTA and Alex Veitch. FTA’s Head of Global Policy sees this as a first move to see more action from industry and government to facilitate exports through the growth of air freight. On the other side, Larry Coyne, CEO of Coyne Airways Ltd stated that his airline no longer operates out of the UK because it was easier to do so out of Amsterdam. Still a long way to go in the UK before a realistic air cargo community can be in action. After a rather disappointing air cargo first quarter 2016, Fraport can report that cargo tonnages and revenues increased considerably in April. Cargo volumes grew by 5 percent to reach 181,948 tons with the Far East growth being the main driving factor. Tonnages to and from this region went up in April by 9 percent. Cumulative cargo volumes for the current year until the end of April grew by 0.5 percent although the first quarter results had shown a negative trend. This, thanks to the good April showing.